Welcome! This website represents expert Vedic Astrology Services brought to you by Ken Krumpe from Maui who is the International Coordinator for Pundit Ramanand Shastri who lives in India. Ken & Pundit Shastri have been working together for over 35 years providing the best quality Yagyas and Readings available. You will receive your chart via e-mail in an easy to follow format. Many people are enjoying the great benefits of this unique service where you can gain a deeper understanding of where your life is going and how to augment your positive karma and mitigate the negative influences that you have brought with you into this life time. Enlightened Living Enterprises Charitable Corporation is a non-profit corporation organized and operated for charitable and educational purposes. We are dedicated to keeping alive the age old tradition of Vedic Astrology, Mantras and Yoga by instructing the public on how Vedic Astrology is useful to individuals and beneficial to the public. 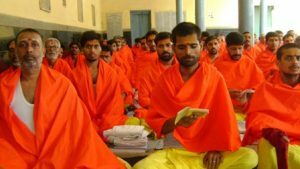 To fulfill these purposes we support 350 Vedic priests and their families in India. In return, the priests conduct prayer ceremonies in a Vedic Temple to create world peace. We also send contributions for the construction of a Vedic Temple where prayers called Yagyas can be preformed. These Yagyas are also performed in concert with Hindu celebrations throughout the year such as Navaratri, Laxmi Day, the Day of Ganesh Yagyas to other Hindu gods such as Shiva and Vishnu. To order Yagyas Click here to go to our Yagya website. We offer Life Readings, One Year Progression, Three or Five Year Progressions. Included in the reading is Yagya Recommendation and Jyotish Gemstone Recommendation. We also offer Muhurtas which are auspicious beginning times to begin a business, journey, build a house or start any new venture. We offer business compatibilities between partners and also marriage compatibilities. We also offer Vedic Kavacha and Yantras which are amulets for prosperity, business success, good health and protection from black magic or dark souls. Pundit Shastri now coordinates 350 Yagya Pundits. These Pundits perform top quality Yagyas from the Jyotir Math Tradition in India. They are located in Gaya, India. 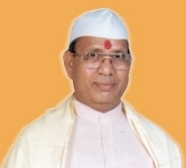 He offers numerous Planetary and Special Intention Yagyas.